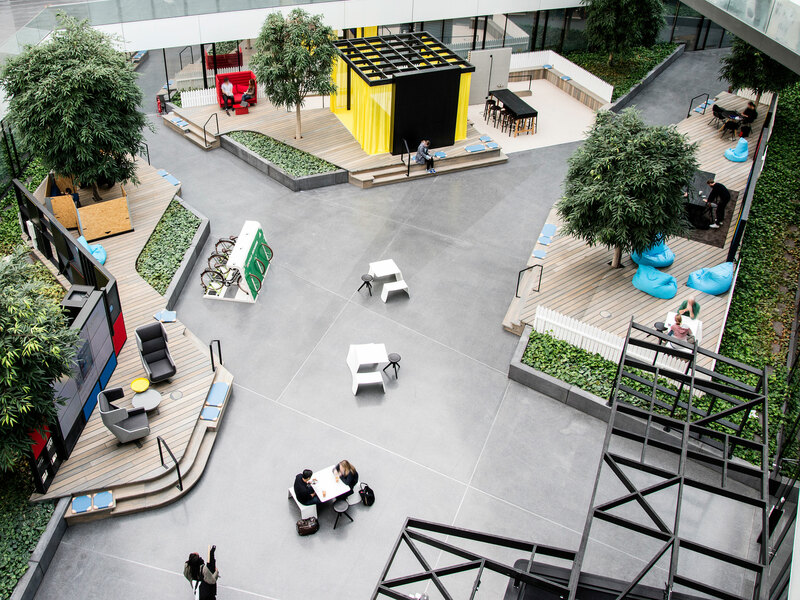 The new co-creation area at Adidas. 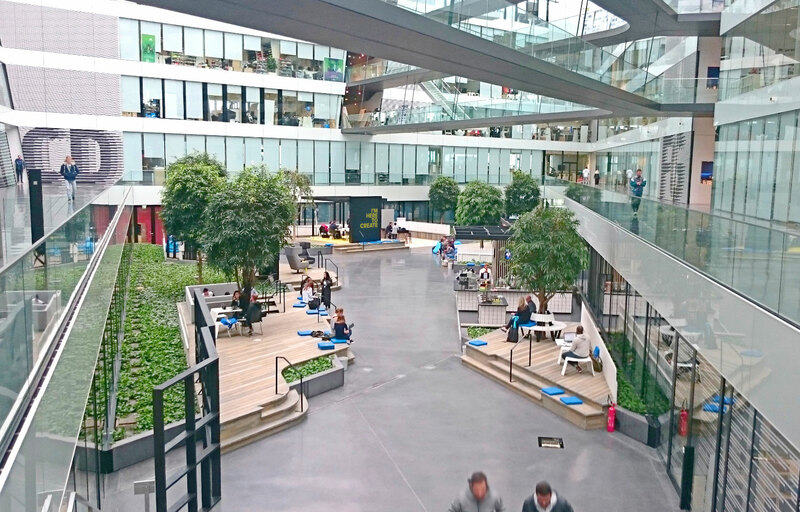 The Adidas Valley is a work environment for Adidas employees. 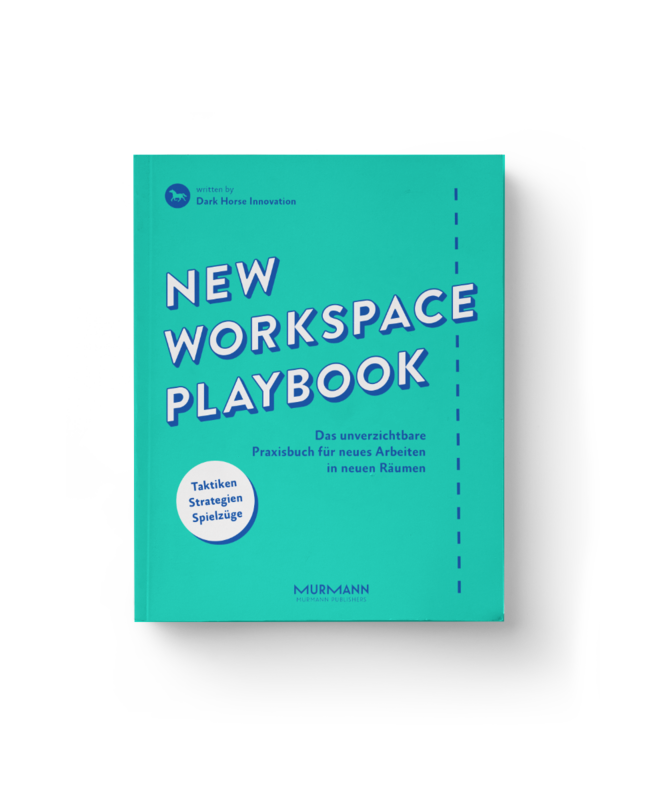 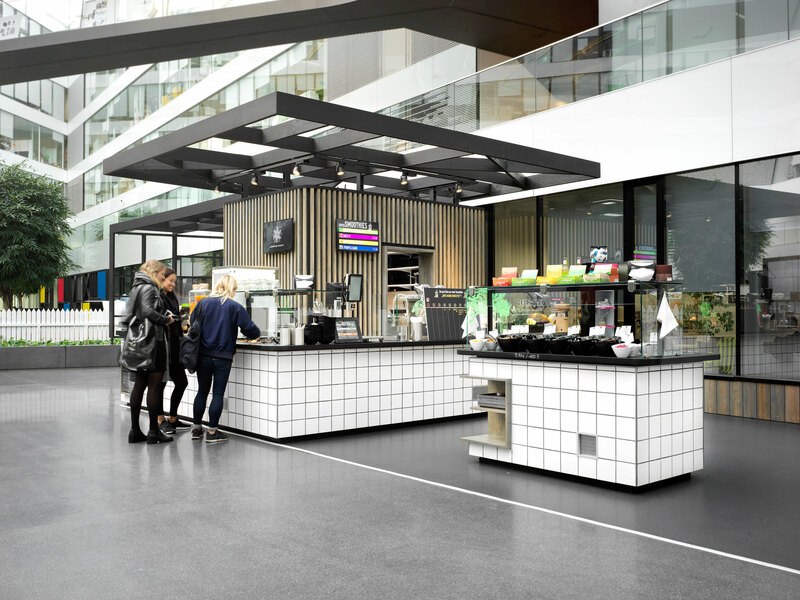 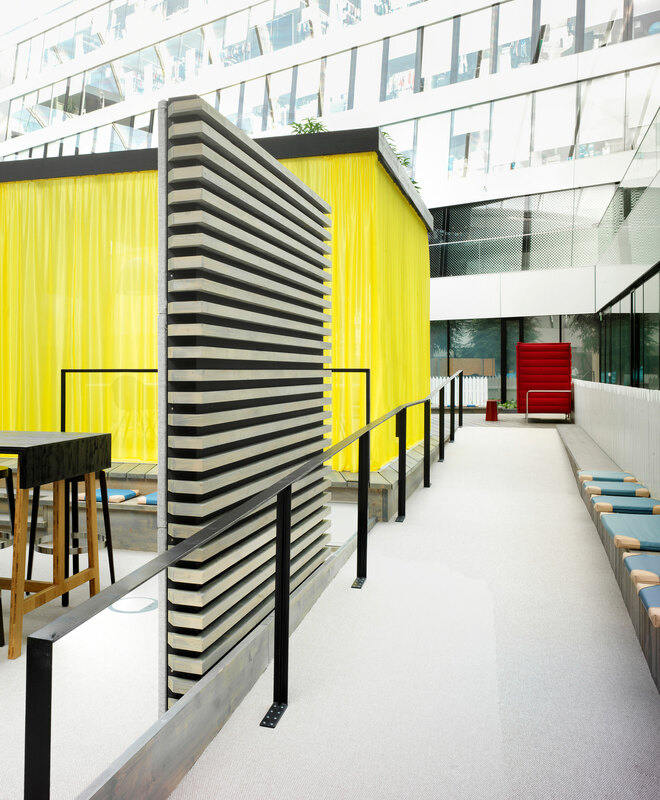 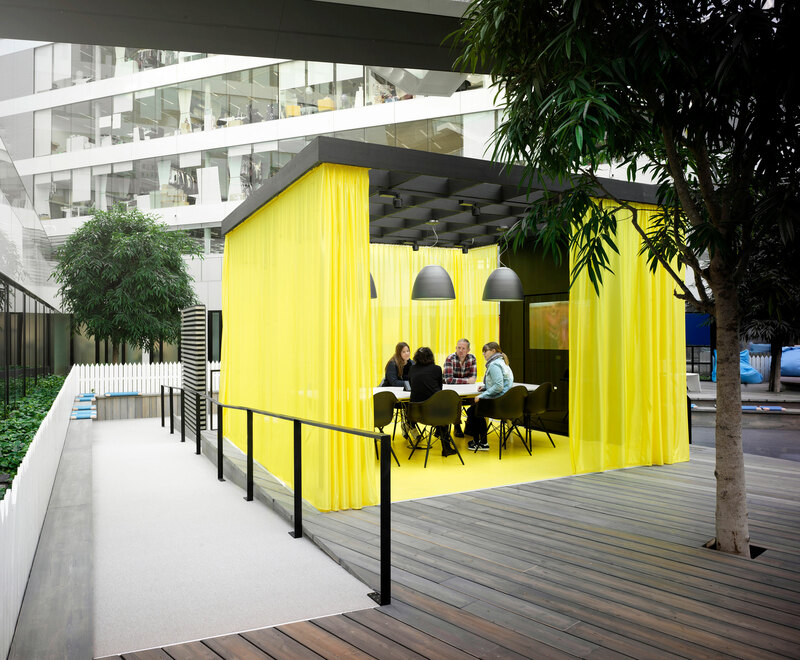 By combining work spaces with a co-creation area and lounge platforms – including a smoothie bar – the designer from ACTINCOMMON created an open and vivid landscape. 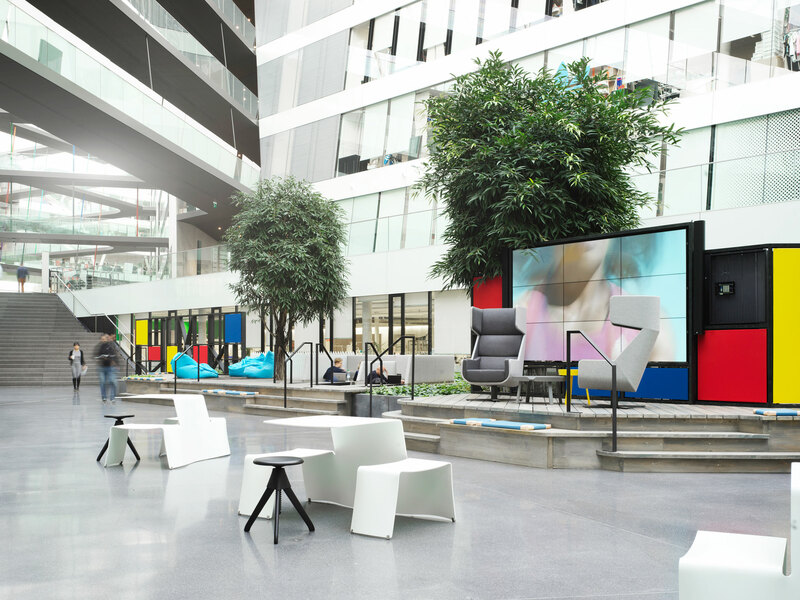 In contrast to the technological appearance of the existing architecture, a new look and feel is generated through the use of soulful, transparent and natural surfaces. 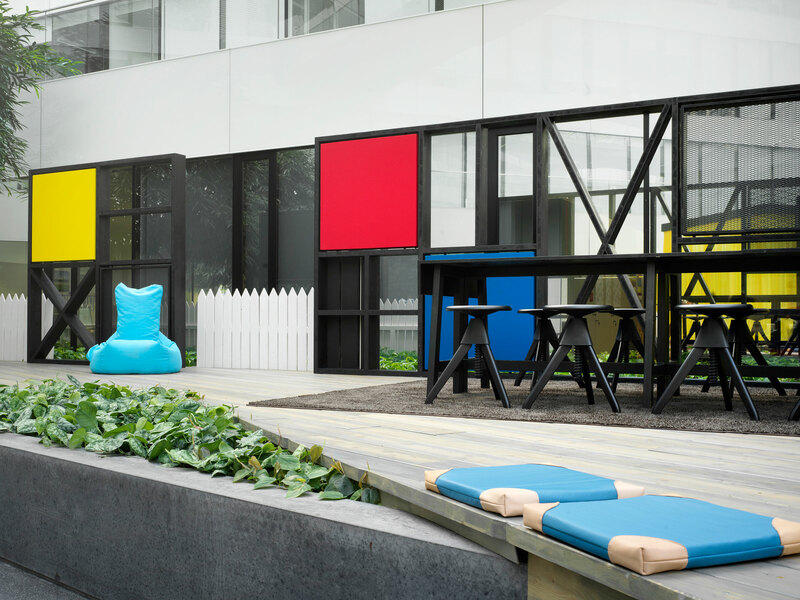 Visual references to the world of sports is added through the combination of raw and urban materials, underlining the approach to create an attractive and unique work environment.